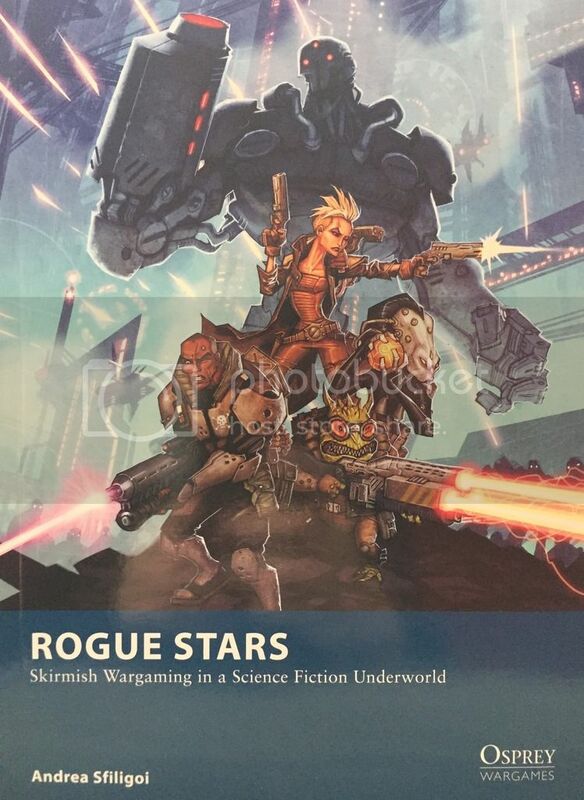 Rogue Stars is another of the Osprey Wargame Series. This one is written by Andrea Sfiligoi who also wrote A Fistful of Kung Fu and Of Gods and Mortals. 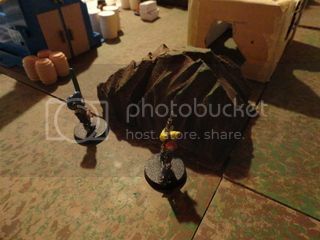 In addition, he works with Ganesha Games and wrote the popular Song of Blades and Heroes rules and their derivatives. That means he has an established track record of game design. I had certain pre-conceived notions of what I was going to find once I cracked the cover of this book based on what I knew of his design philosophy, but I heard some initial rumors that made me think that the design of Rogue Stars would diverge significantly from Mr. Sfiligoi’s previous works. He has a strong design ethos to his games. I know many people were looking forward to this game as a generic Sci-fi skirmish set so they could bring the models they owned to the table. Some of the pre-release models from Northstar miniatures were very promising, harkening back to and older, nostalgic time of Oldhammer wargaming. They created a god deal of buzz and fueled further speculation on the rule set ahead. Unlike some of the other Osprey games, Rogue Stars does not start with and design criteria or notes. However, the initial “The Basic” section gives you a pretty good idea of what to expect. Those are that the game is played on a 3x3 board between groups of 4 to 6 models each. Each model is supposed to be a “character” with their own personality and story behind them. The models can be any scale with some slight modification, but they are designed with 28mm in mind. The game uses 3 d20 per player and it is helpful to have some tokens for stress, pins, and wounds. Online the author recommends that each character have a sheet on a sideboard and the tokens actually go on the record sheet and not the table. There is only a brief 2 paragraphs introduction to the setting and it is pretty generic. At the edges of a crumbling galactic government, your models are trying to make a living, meet interesting people, not get killed, and keep in flying. The setting is a lawless and dangerous place. So, with all this build up and excitement for this game, how does it play? I was looking forward for this review, Thanks easy e.
I have a fistful of kung fu and I really saw it as a really fresh ruleset. The only drawback for me it is very difficult to solo play it. Rogue stars could interest me so I will try to read a coulple of game reports and then I will decide to buy it. GMG/Guerilla Minaiture Games/Let's Play! has a video game report that gives you a great feel for the game. Don't know if people don't like them or they're just overlooked, but I found the Zeno Clash games to be a really big deal. Everything about them was original as hell, and very intelligent. True works of art. Yet I never see any mention of them.